What are the many and splendid benefits of this governmental/non-governmental/banker-controlled institution? Plenty, if you’re a banker or stock broker. To fully understand the effect of the Fed on our money supply, let’s look at the dollar value of gold over the last 100 years. In 1913, gold was valued at $18.92 per ounce. Today, December 23, 2013, spot gold is valued at $1,199.80, down from a high this year of just under $1,700.00 one year ago on this date. Purchasing power of gold today is no different than it was 100 years ago, in terms of land, jewelry, houses, commodities, etc. Gold hasn’t become more valuable; the U.S. dollar has become worth less – worthless. How has this happened? If you’re asking, you most certainly should investigate, shouldn’t you? 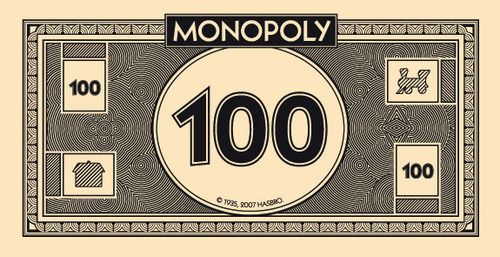 Something akin to gold, but intangible, is the bitcoin, electronic money that has no central bank, no bankers in control of its value and no central computer to account for it. I don’t yet fully understand it and I don’t know how you would retrieve it, if the world wide web – the internet – were to go dark. Nevertheless, it’s one place I’m looking. My own unprofessional investigation of the gold market suggests more gold is being sold than exists in the world today. I can’t explain it, but I see it. 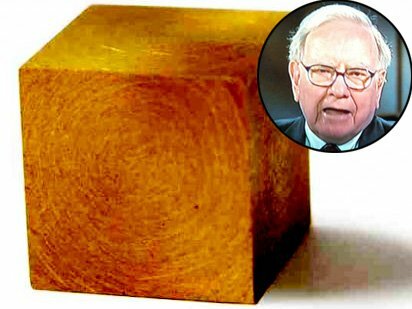 Warren Buffet estimated the total volume of gold in the world in Feb. 2012 If you molded all the gold in the world into a cube, Buffett says it would be about 68-feet per side. This is four feet shorter (and considerably wider) than a tennis court. As Buffett observes, it would fit comfortably in the middle of a baseball infield. God governs in the affairs of men and women and boys and girls. Never before in our history has there been a greater need for our people to humble themselves, turn from wickedness and call on the Name of God for our preservation. Let’s resolve to turn from evil in every form and embrace the future with an expectation of mercy and grace from our Creator and Benefactor, the Living God, the great I Am. We have many and critical choices to make and, without divine wisdom, we shall surely choose poorly.